It seems inconceivable to some, but Apple’s mapping software doesn’t currently offer public transit directions like rival products such as Google Maps do. However, this could be about to change if a job listing on Apple’s website looking for a developer to join the Public Transit team is anything to go by. 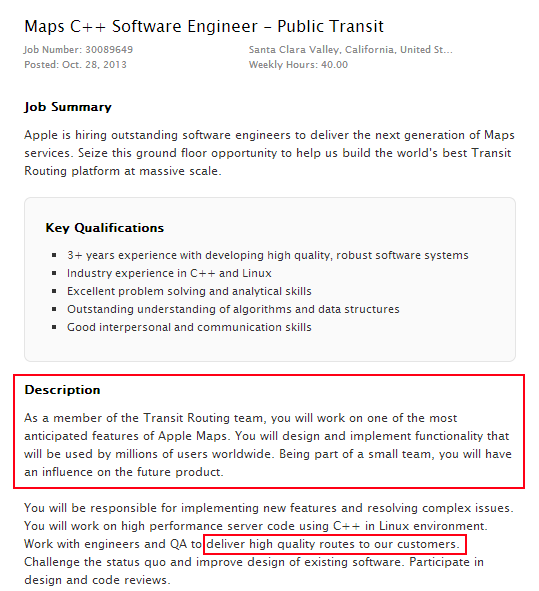 According to the listing, the successful applicant will “will work on one of the most anticipated features of Apple Maps” and “Work with engineers and QA to deliver high quality routes to our customers”. For Apple device users, it can’t come a moment too soon.